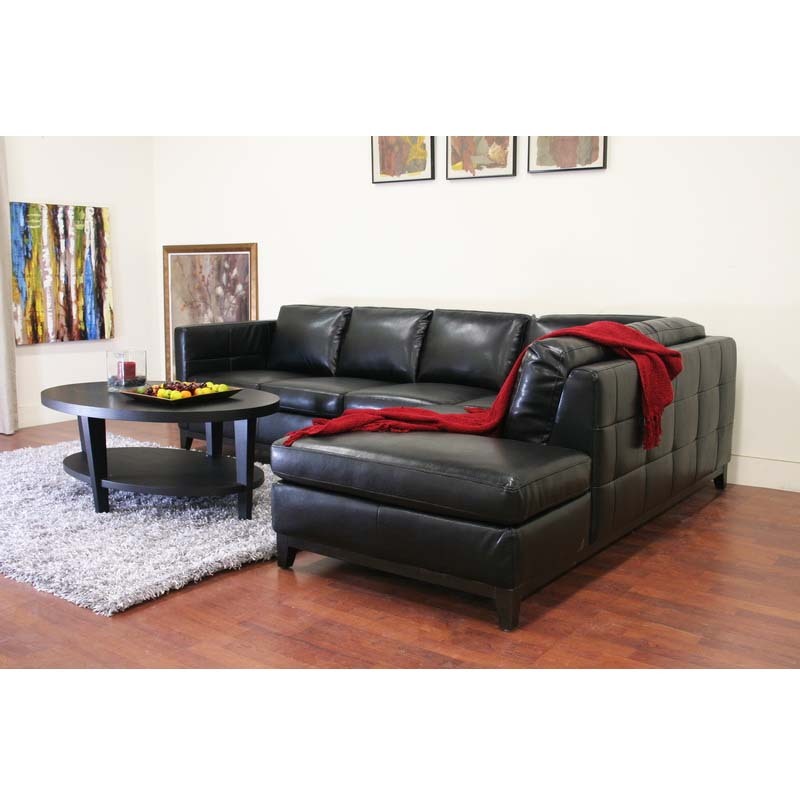 More on the Wholesale Interiors Rohn Modern Black Leather Sectional Sofa 3166-Sofa Chaise-DU013 L016 below. does not begin to describe the understated, contemporary elegance of this versatile sectional sofa. 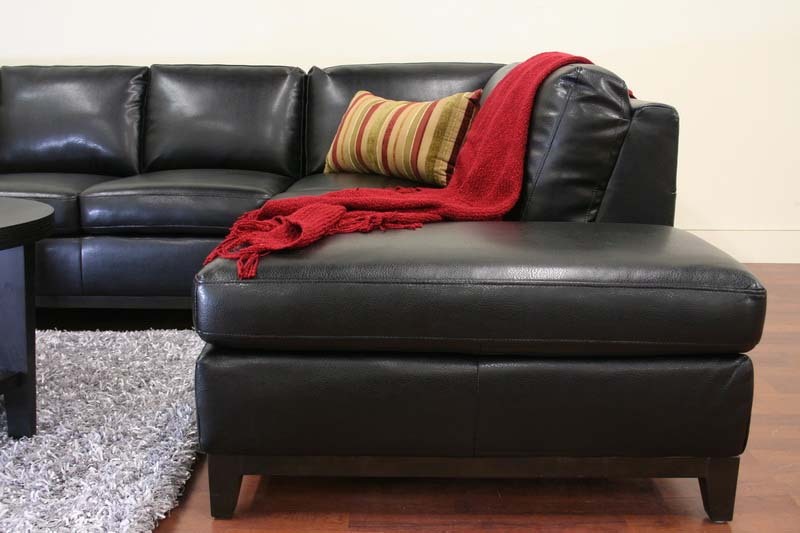 On the back and sides of the Rohn Sectional, individual black bonded leather panels are stitched together to create a classic yet modern look, so this set shines even when not against a wall. This L-shaped sectional design includes a metal bracket between the sofa and chaise lounge to connect the pieces. A wooden frame with black wood platform base and legs, dense foam cushioning, and non-marking feet finish off the contemporary sectional sofa. 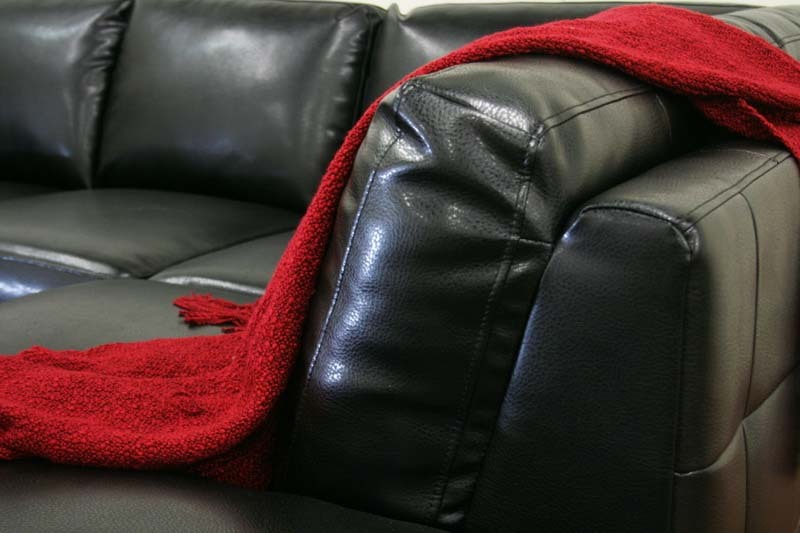 All cushions are attached and cannot be removed. 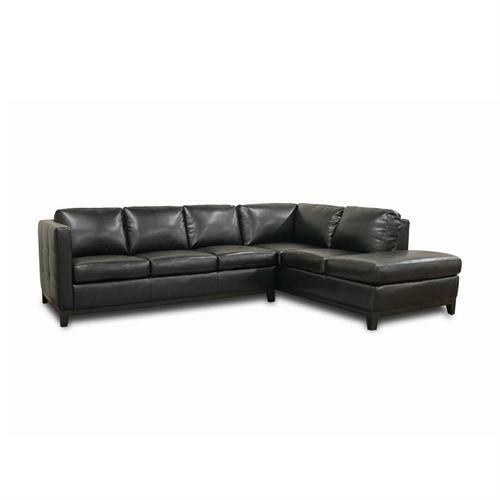 The Rohn style is also available in a loveseat and sofa set (sold separately-see related products below). Comes Fully assembled. *See related products below for the 2 pc. 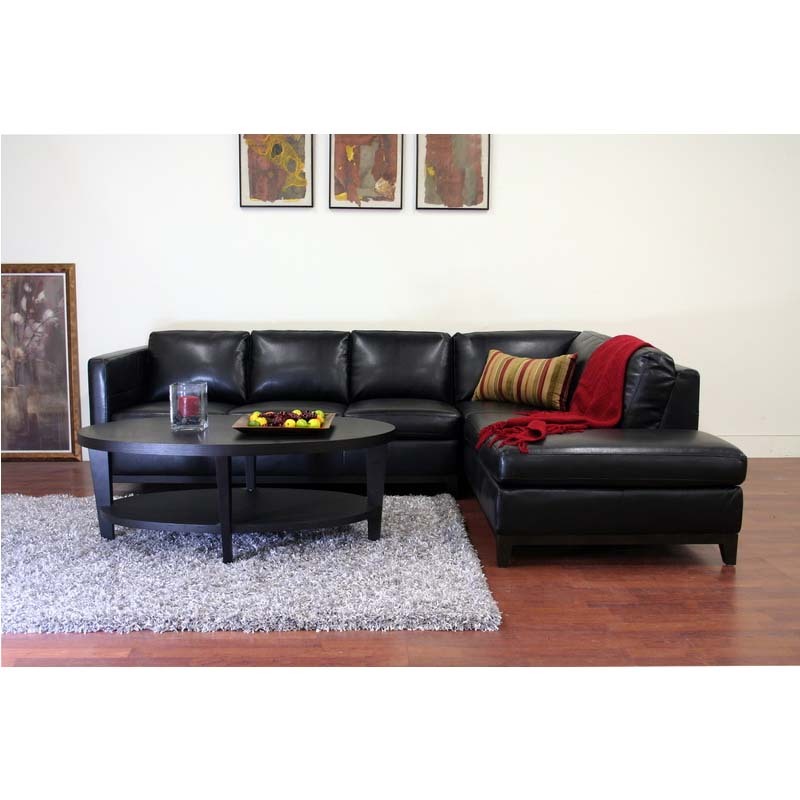 Rohn Sofa Set. Height: Seat Height 17 in.